Going without power is clearly a nuance. It can disrupt your work schedule, block access form the internet, keep you freezing cold in the wintertime with no heating, etc. But, despite all of these obvious discomforts, it can actually damage your home as well. However, not to worry, so long as you have a reputable, built to last generator then you can avoid these issues from arising. A reliable standby generator, such as the one that our company uses, will support the main circuits of your house when your elctric service has stopped working due to a power outage. A generator that is installed professionally and maintained regularly, can last you for many years to come. Many home owners in Millburn, NJ have decided to install backup generators for their household, especially with us here at Bloomfield Cooling, Heating and ELectric, Inc. Our company has built a reputation on being reliable and very dependable; always delivering above and beyond our customers’ expectations. 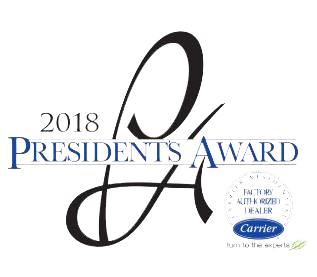 In addition to our excellent Google reviews, we also received Angie’s List Super Service Award for 10 years in a row and the gold medal in the Suburban Essex Magazine’s highly coveted Best of Essex Award for the past two years. Our reputation and experience simply can’t be matched in the Millburn, New Jersey region. You can rest assured knowing we will deliver an amazing, reputable generator and continue to follow up with you aftr installing your generator for maintenance. What sets us apart from the pack in the generator service and home electrical service industry is that our team of professionals really take the time to explain how to maximize your generator performance extend its life, and provide you with other valuable information. They give you detailed explanations from their years of experience, so you know you made the best choice in regards to the size and type of generator that best suits your household. When it comes to keeping your generator working at peak performance, you need to focus on caring for it regularly and performing any maintenance. Trust us to take care of that for you. With our affordable, flat rate maintenance plans, we will service your generator regularly to ensure you are getting the biggest bang for your buck from your generator and that it will last you as long as possible. Our team of certified technicians will identify any problems before they surface, as well as address any causes that would affect your generator’s performance. 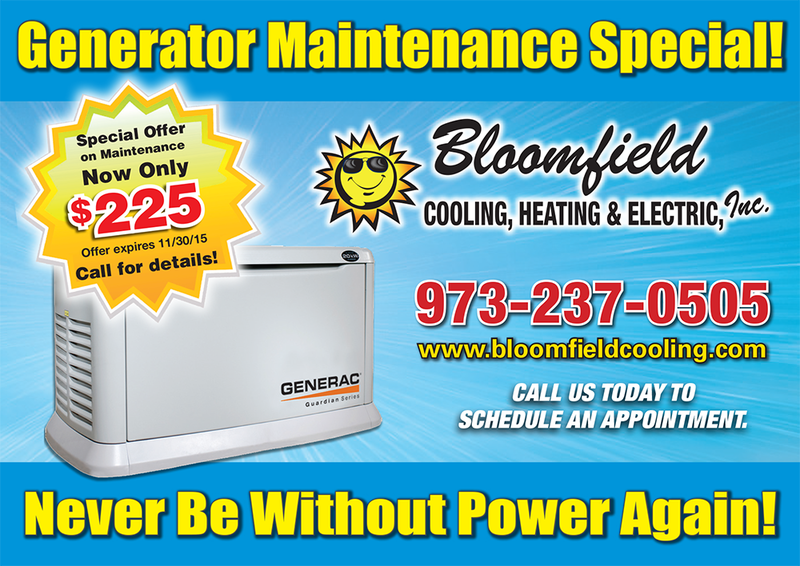 With the maintenance plan we offer at Bloomfield Cooling, Heating and Electric, Inc., you will have access to routine maintenance calls, diagnosis, replacement of oil and filters, cleaning and replacement of spark plugs and other inspections so that you can maximize the efficiency of your household generator. Don’t be the only one in your neighborhood suffering from a power outage! Instead, call us here at Bloomfield Cooling, Heating and Electric, Inc. for a free in-home service in your home in Millburn, NJ.